Entrepreneurship has been the focus of considerable interest in the policy and business circles in the past two decades. Against a backdrop of the recent global recession, downsizing by large firms and problems of inequality and unemployment in many countries in Europe and Africa, it is realized that vigorous entrepreneurship is critical for sustainable job creation, and for boosting tax revenue and economic growth in a society. 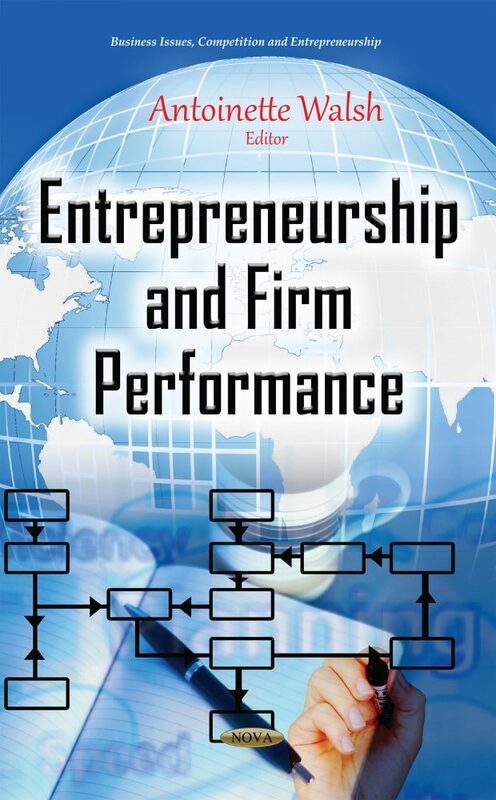 This book provides current research on entrepreneurship and firm performance. The first chapter examines the nature of entrepreneurship by selectively drawing from the economic, management and psychological schools, and then presents an integrated electric view of entrepreneurship based on the different schools of thought. Chapter two theoretically examines the influence of international non-governmental organizations (INGOs), on local and international entrepreneurial activity stemming from emerging markets in light of globalization and the aftermath of the global economic crisis. Chapter three examines the moderating effect of prior functional and prior founding experiences of the founders on the relationship between ecosystem and new venture growth. Chapter four justifies both theoretically and scientifically the emotional and social aspects of gender, and offers a new arena for sketching the figures of a man and a woman entrepreneur. Chapter five discusses topics of entrepreneurship in Brazil, focusing on psychosocial elements which impact entrepreneur´s agency and considering cultural, social and psychological aspects which singularize such practice, potentially distinguishing it from other countries’ experiences. Chapter six analyzes the situation of social entrepreneurship in Lithuania, emphasizing its policy and practice in the European Union (EU) context, striving for youth involvement in becoming social entrepreneurs. Chapter seven conducts an initial insight on the link between entrepreneurial motivations and performance in microfinance institutions (MFIs). The last chapter proposes a multidimensional approach to the study of entrepreneurship.